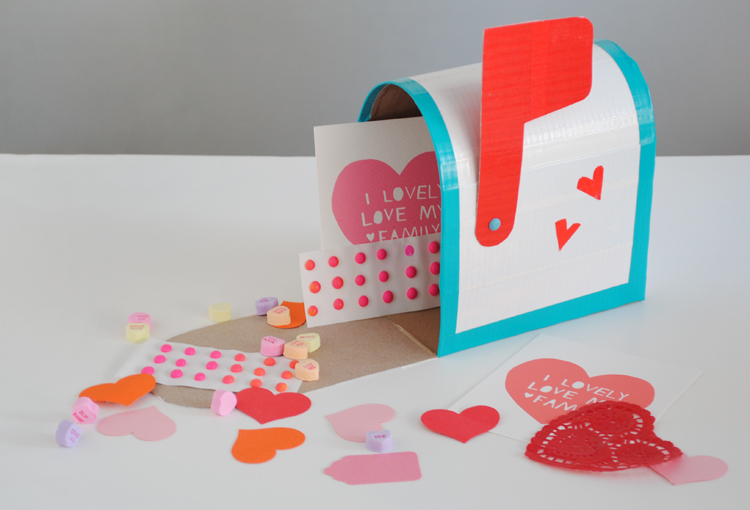 One of the things I loved most about Valentines day as a child was the creation of fun red and pink hued boxes that we would decorate in anticipation of the happy hoard of heart themed cards and candies. 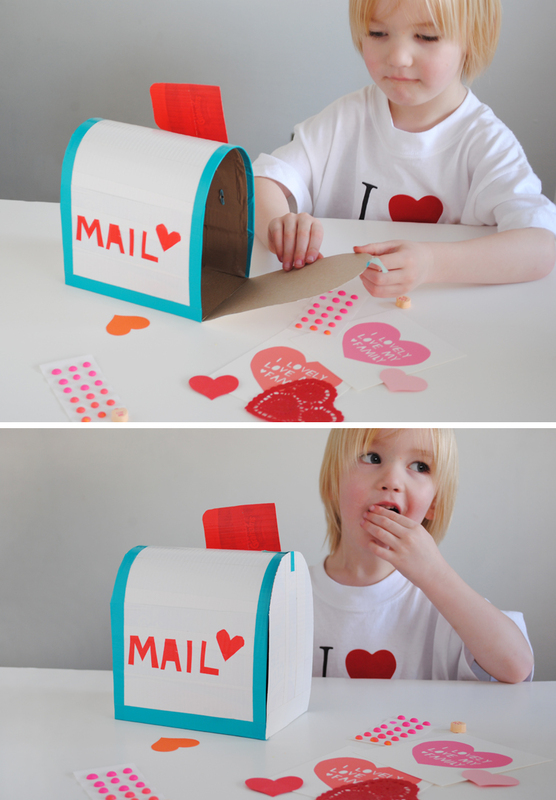 This year I thought it would be fun to extend that joy by creating a play mail box with my boys that they could then later use in their everyday imaginative play. And as I’m crazy (or lazy?) about using what I’ve already got lying around the house (along with a very slight obsession with duct tape) I knew we had to make one, post haste. 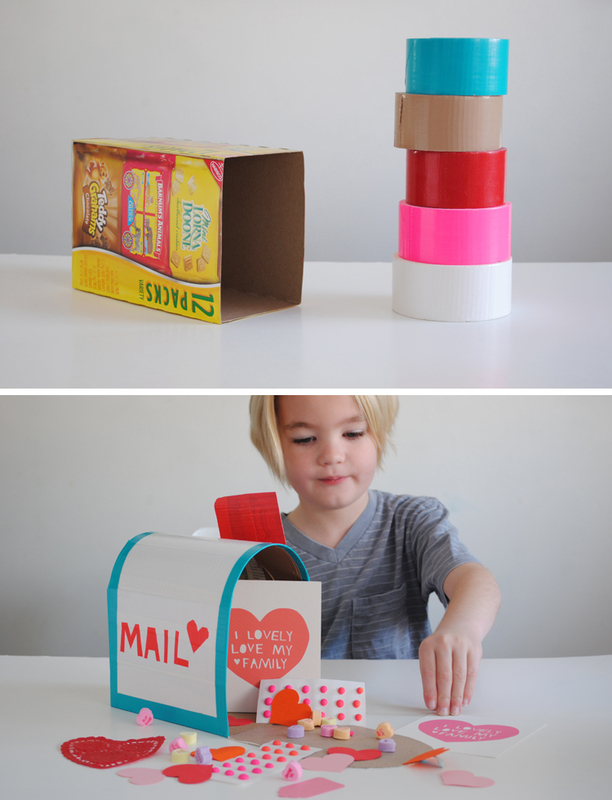 To make this play mail box we simply scrounged up an old cookie/cracker box that was just the right size. I then cut the top off and used the side of an old cereal box to create the arched top which was then secured on with duct tape. I then used another side of the cereal box to cut out the shape of the mail box door and flag – which was later attached with a brad. 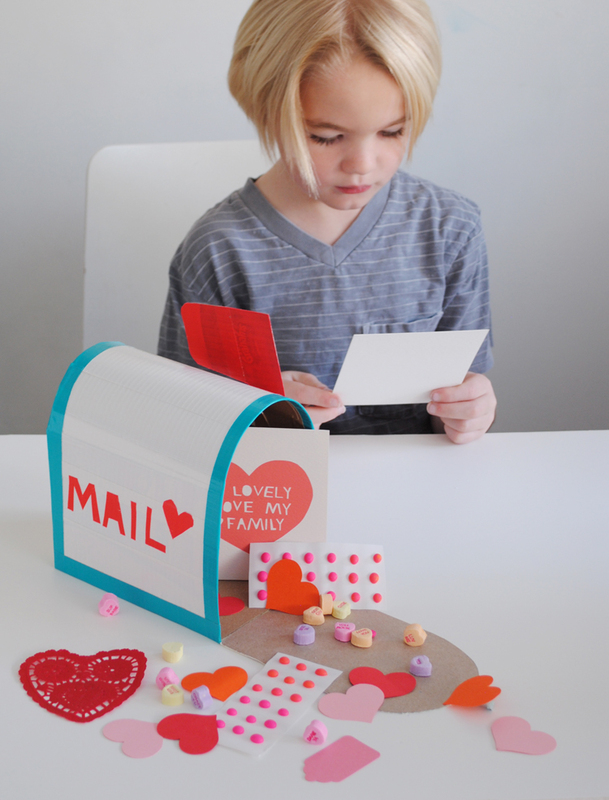 After decorating our mail box with wording and hearts (which, let’s be honest, will probably be removed by my boys after the holiday of love is through) we quickly filled it up with an assortment of Valentine goodies for an afternoon of mail day play. And with Little O who is not yet in public school, I’m thinking this will be just the thing to collect all those gifts and cards from friends who get together for a little preschool V-day card exchange. Three Cheers For See Jane Valentines! Hello! Long-time blog lurker without commenting (sorry!). This is absolutely beautiful and so sweet! Thanks Katie! And so glad you said hello! Thanks Nicole! Please do share with a link back to the full tutorial here. And definitely make one. It’s so easy and your daughter will love it! Very cute! May I ask where the cards are from?